Robin Brundle, Co Promoter at the King’s Lynn Stars Speedway Team, is delighted with the riders mid-winter physical performance test results. The Stars winter training programme started at the beginning of December, and the 2019 team riders are already 9% ahead of last years comparable fitness measurements. Partnering once again with team GB coaches, Chris Neville and Paul Suggitt, the team are using the facilities and excellent equipment from Jordan Fitness in Kings Lynn. The Stars winter training programmes are the foundations of the pre-season preparations using baseline fitness tests. The tests are designed to assess the physical condition in body composites, hydration, aerobic performance, sight quality combined with peripheral vision and reaction times. The ’Sight Bar’ test is new for 2019 and this test is designed to establish which is the riders dominant eye. In speedway the starting gate mechanism can be located either to the riders left or their right, so this information is critical in understanding how to help the riders maximise their starts. The reaction times currently vary between 0.007 to 0.023 of a second and so there is still some pre-season training work to be done on the riders non-dominant eye. 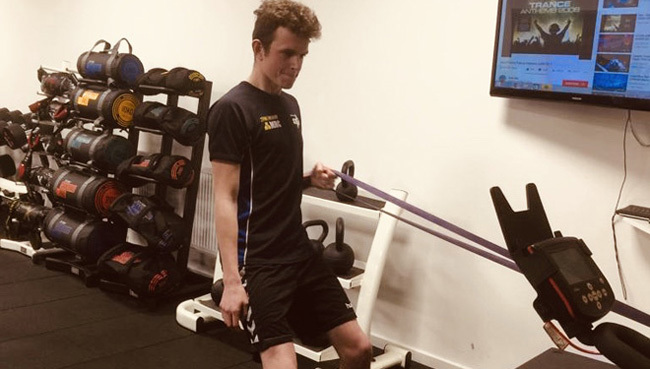 Robin Brundle, Co-Promoter at King's Lynn, “we know that we can raise our fitness game beyond last years programme and we are already delighted with the incredibly positive mindset of the 2019 team. The riders have instantly taken on board all of the learning from the 2018 programmes and have also accepted the new elements for 2019. The riders are arriving hydrated, 5 of the riders are already at the required weight target and 6 of the riders are already at their performance heart rate target too. There is one additional specialist exercise programme that we will share with our supporters at the end of the training programme". Dale Allitt, Co-Promoter and Team Manager, “the whole team understands that we have unfinished business from 2018 and we are all focused on Gold in 2019. When you analyse the demands placed on the speedway riders body, they are pretty eye-watering and you cannot fail to be impressed by the teams work ethic”. Robin Brundle “We have two more, two-day, training camps before the season starts and we expect all of our team to be on target. The reaction test bike will be made available to the fans during race nights at Adrian Flux Arena, so that you can come along and test your skills against the times set by the riders”.